The Ultimate Sprintcar Championship today proudly took the wraps off its exciting new Television Show series on 7Mate. 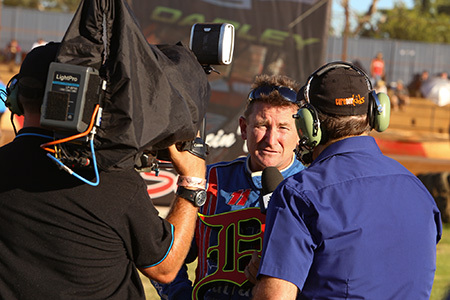 Valvoline Raceway Managing Director Steven Green was delighted to announce the most comprehensive free-to-air deal in the history of his venue that will see rounds of the Ultimate Sprintcar Championship from Parramatta, Toowoomba and Premier Speedway Warrnambool featured in a 26 x 30 minute series from early November 2015 until the end of April 2016. The first of the 26 episodes will air on Saturday, November 7 at 12 noon across Australia and feature a balanced blend of ‘flesh and blood and steel and wheels’. 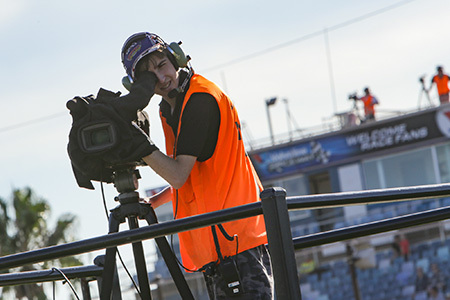 A fresh perspective on showcasing the sport is being brought to “Ultimate Sprintcar” with two young cutting edge editors being brought into the mix to work with celebrated camera operators like Richard Rowley and the established USC team. Filming for Ultimate Sprintcar begins Friday September 18 with several location shoots and interviews in Brisbane and Toowoomba workshops in readiness for the USC first round kick off at Hi-Tec Oils Speedway Toowoomba Saturday night September 19. “The show will follow the nightly battles within the USC but it will also showcase the blue ribbon events on the schedule in the Warrnambool Classic and the Scott Darley Challenge specifically. Whilst those races will be a major part of our Ultimate Sprintcar program series we plan to announce some additional exposure for those two events in particular very soon,” explains Steven Green. More information on “Ultimate Sprintcar” on 7Mate will follow soon.